PLEASE SAVE THE DATE! The third Scholarly Communications Unconference, affectionately known as SCUNC, is happening at Vanderbilt University this summer. Like Orlando in 2015 and Atlanta in 2017, SCUNC 2019 will be a THATCamp-like format, focusing on issues in Scholarly Communication important to attendees. Registration will be limited to the first 50 ASERL members who register, and the $50 conference fee will be billed by ASERL at a later time. Watch this space for details on registration, session proposals, and timelines. See you in Nashville for SCUNC 2019. Rebekah Kati, Institutional Repository Librarian, University of North Carolina at Chapel Hill. This is #13 in our series of get-acquainted posts featuring members of the ASERL Scholarly Communications community. 1. Describe your current scholcomm position. I am the Institutional Repository Librarian at the University of North Carolina at Chapel Hill. I am one of two repository librarians in my department; I manage the services for the Carolina Digital Repository, which is UNC’s institutional repository, while my boss manages the special collections repository and the overall program. My main initiatives since I started in the position last October have been to create and implement a new data services policy and develop a strategy to identify paywalled content that can be legally imported into the repository. My group is launching a new institutional repository system (maybe by the time you read this! ), and I am working with our development team to identify requirements. Once that is complete, I will be writing documentation, training staff, creating new services, identifying improvements and ingesting content into the repository. 2. What attracted you to scholcomm work? I became interested in digital collections in grad school, while I interned for the Indiana University Digital Library program. Through my coursework, I learned about institutional repositories and thought they were fantastic. Offering free, legal access to scholarly content seemed to me to be a key role for librarians. I accepted my first librarian job because I was supposed to head a repository implementation. Unfortunately, that project didn’t materialize to due budget cuts but I kept looking for opportunities to expand my knowledge and involvement in scholarly communications. As I learned more about open access, licensing and other scholarly communications topics, I became fascinated and wanted to work in a scholcomm position. This led to a job at a university press that was part XML specialist, part digital content project manager and part journals production project manager. While I liked working for a publisher, I was disappointed that there weren’t more opportunities to work on open access projects and I missed the library environment. I’m very excited to take part in both at UNC! I’ve always liked fixing things, so working in the repository every day and figuring out solutions to make content available is very rewarding. 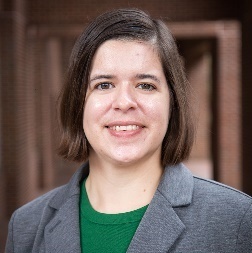 I also love working with my wonderful colleague Jennifer Solomon, UNC’s Open Access Librarian. Outside of redefining promotion and tenure systems to incentivize open access (which has been noted several times already), I would like to see institutions fund and support scholarly communications initiatives more fully. In libraries, we talk a lot about authors’ labor in the research, authorship and peer review process, but we don’t tend to address academic journal editors’ labor. One reason that editors bring their journals to publishers is that they don’t have the time or inclination to do the copyediting, typesetting, design, online content platform optimization and hosting and marketing that is needed to get their journal an audience. If universities want to take their content back from publishers, they need to provide and fund viable alternatives. That could mean more support for their repository program, library publishing program and university press. 5. If you were NOT a scholcomm librarian, what would you be? I imagine I would be working as an e-resources or web librarian, since I used to work in those areas.